The Human Genome Project is an expensive, ambitious, and controversial attempt to locate and map every one of the approximately 100,000 genes in the human body. If it works, and we are able, for instance, to identify markers for genetic diseases long before they develop, who will have the right to obtain such information? What will be the consequences for health care, health insurance, employability, and research priorities? And, more broadly, how will attitudes toward human differences be affected, morally and socially, by the setting of a genetic “standard”? 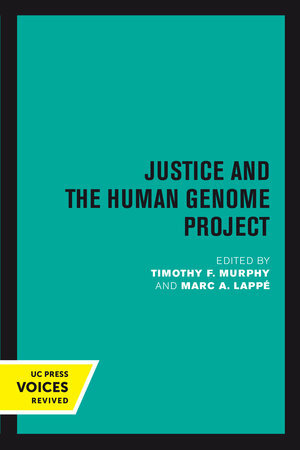 The compatibility of individual rights and genetic fairness is challenged by the technological possibilities of the future, making it difficult to create an agenda for a “just genetics.” Beginning with an account of the utopian dreams and authoritarian tendencies of historical eugenics movements, this book’s nine essays probe the potential social uses and abuses of detailed genetic information. 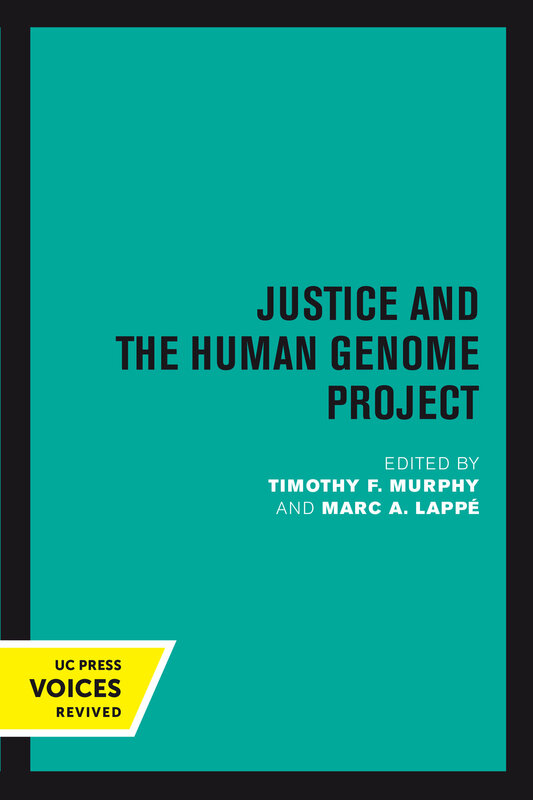 Lucid and wide-ranging, these contributions will interest bioethicists, legal scholars, and policy makers. Timothy F. Murphy is Professor of Philosophy in the Biomedical Sciences and Marc A. Lappé was Professor of Health Policy and Ethics at the University of Illinois College of Medicine. Murphy is coeditor of Writing AIDS: Gay Literature, Language, and Analysis and Lappé is the author of Chemical Deception: The Toxic Threat to Health and the Environment.